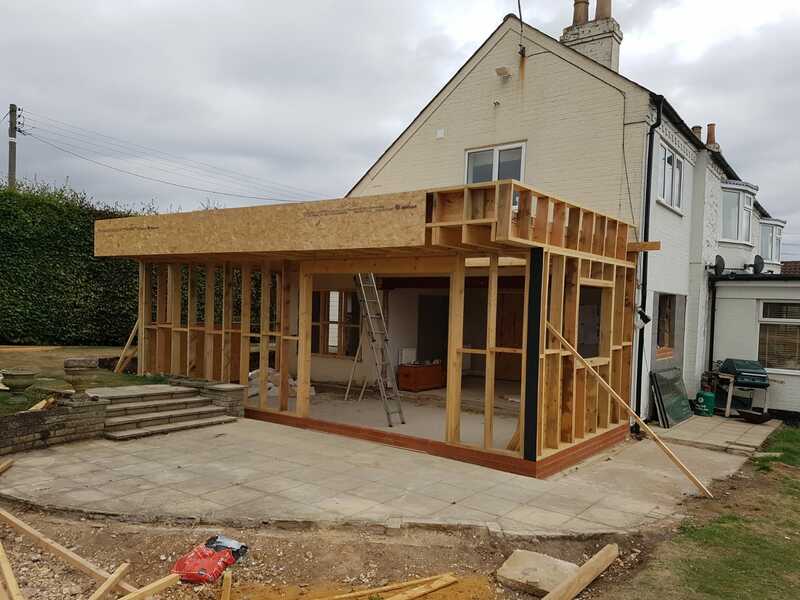 Timber frame extensions are a quick and economic way of increasing the size of your house, here one our customers describes their project from from planning through to completion, a really good read for those thinking about extending their house. 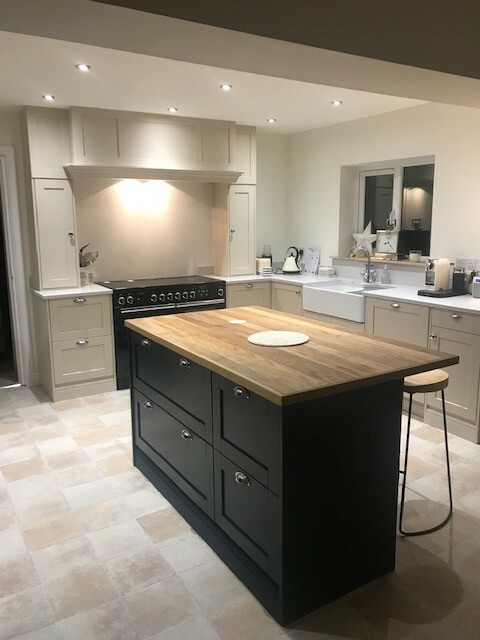 After moving into an old farmhouse with an extremely small kitchen we decided to knock out from an existing sunroom to make a large open plan kitchen area. We chose to do a timber frame single storey extension with larch cladding painted in cream. The extension would have a flat roof with an aluminium lantern in the centre, not only as a feature but also to let in all of that natural light. As the house is situated in the Lincolnshire Wolds Area of Outstanding Natural Beauty, planning permission was required for this new build. Our architect drew up plans for the extension and planning was granted within 4-6 weeks. 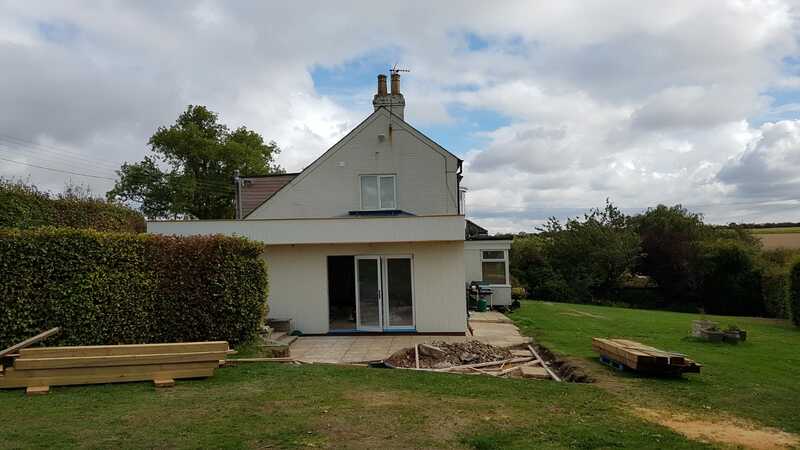 The build started at the beginning of the July and the project completed in the middle of November, so the whole process from digging the footings, to fitting the kitchen took just 18 weeks. I was amazed by how quickly the timber frame structure went up, within a day you could see the frame of the building and the outline of the windows. The whole structure with fitted insulation boards only took six weeks to build. 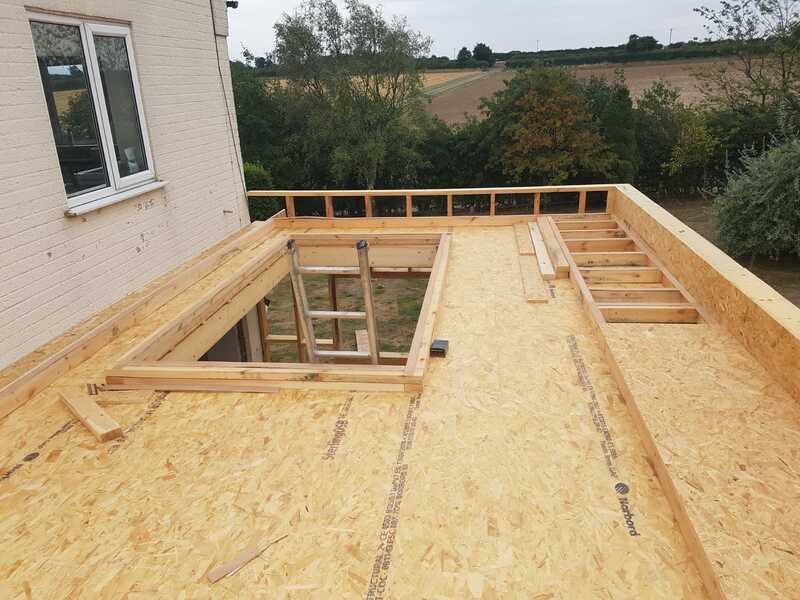 All of the timber was supplied and delivered by Bennetts Timber of Grimsby and Brigg who were extremely knowledgeable, efficient and competitively priced. One of the key features of the new kitchen is the white aluminium roof lantern, we chose the colour white to tie in with the cream cladded boards. The room also has wooden bio fold doors that open out onto the garden. There is a definite Scandinavian feel about the property and the light pours into the room. The room is L shaped and we have also added a new hall way and downstairs cloakroom to improve the general layout of the house. The new extension is packed with insulation making it extremely warm and energy efficient. Underfloor heating was also put in which keeps the kitchen at a nice temperature. I would thoroughly recommend doing a timber frame extension it works perfectly against our old farmhouse and it was quick to put up and it is so well insulated. 1. Work with your builder and write in your calendar the dates that you will need the different trades to come in to your property. For example, electrician first fittings, plumber, flooring people, joiner etc. 2. I would then inform each of these trades of what was happening at the time, so you don’t miss anything. 3. Don’t pay any trades up front, if they want you to its probably because they have a bad credit rating with the merchants. 4. For sourcing your timber and cladding use an independent timber merchant such as Bennetts Timber as they have the knowledge, expertise and can usually beat the national merchant chains on price. 5. Use Pinterest for ideas. 6. When choosing your paint for cladding, use colours will not date or alternatively choose a clear UV protection.